Mary I. Bunting was the Rutgers dean who led the fight for coeducation at the United States’ most prestigious universities. The program she created in 1958 to support a community of mature women lives on at Douglass Residential College in her name. When Mary Bunting began her academic career in 1937, women like her had limited opportunities in a higher education world dominated by men. 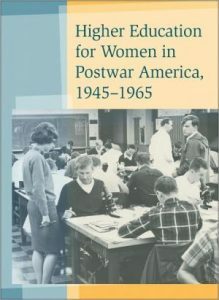 By the time she retired five decades later, many of the nation’s elite universities – including Harvard, Yale, Princeton and the service academies – had gone coeducational, due largely to Bunting’s transformative advocacy for women in higher education. In the 1950s and ‘60s, Bunting emerged as one of the most prominent leaders of the movement to expand educational access for women of all ages and backgrounds – first as dean of Rutgers University’s Douglass College and later during her 12-year term as president of Radcliffe College, the undergraduate college for women at Harvard. By pressing successfully for a more thorough merger of the two institutions based in Cambridge, Mass., Bunting assured that women at Radcliffe would have the same educational opportunities as their Harvard counterparts. 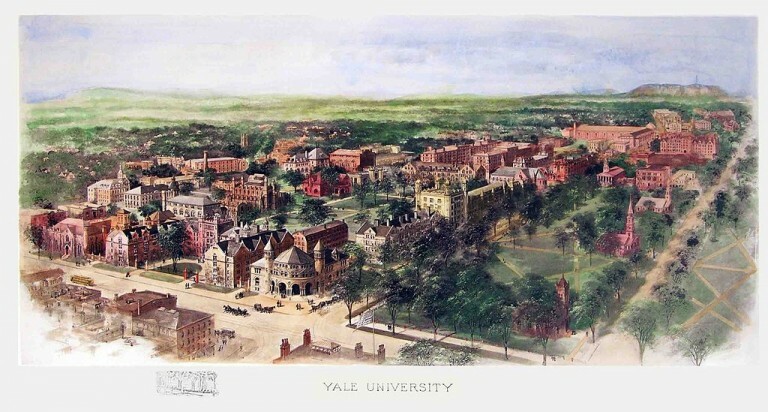 Radcliffe students already took classes with Harvard students when Bunting arrived in Cambridge in 1960, but they were admitted to the colleges separately, and had their own living quarters, administration and trustees. “During her tenure, Radcliffe students first received Harvard degrees, women were admitted to the graduate and business schools, and the Radcliffe Graduate School merged with Harvard’s Graduate School of Arts and Sciences,” the Harvard University Gazette noted in her obituary. 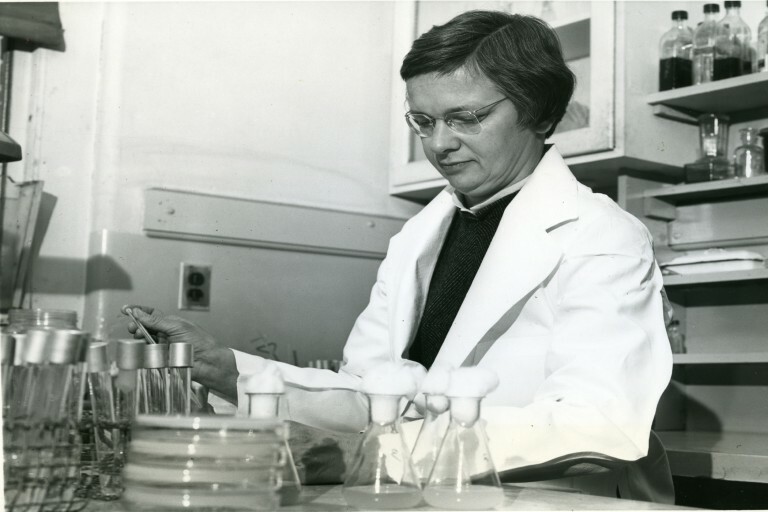 Early in her career, Mary Bunting conducted research on the effects of radiation on bacteria. Bunting left a radically transformed Radcliffe in 1972, the same year Congress passed the Title IX act banning schools from discriminating by gender. She went on to help fully integrate women into Princeton University, signing on as special assistant for co-education just three years after the university admitted its first female undergraduate in 1969. By 1979, female students would become the majority on the nation’s college campuses; over the past decade, women have comprised about 57 percent of enrollment at degree-granting institutions, according to a recent report by the National Center for Education Statistics. Mary Bunting’s role in the revolution made her a media rock star. Time Magazine profiled her in a 1961 cover story featuring her signature lament, “Girls in college have scarcely begun to use their brains,” and chronicling her determination to change that. A research microbiologist by training, Bunting taught at Bennington College, Goucher College, Yale and Wellesley College early in her career, before leaving the full-time world of academia to raise four children. Mary found no jobs open to her at Yale, where her late husband served on the faculty and where she herself conducted research on the effects of radiation on bacteria. When her husband died of a brain tumor in 1954, the young widow and single mother accepted the offer to lead Douglass (now Douglass Residential College). During her tenure, she also served as a professor in the department of bacteriology and as an honorary professor at the Rutgers Institute of Microbiology. Bunting arrived in New Brunswick in 1955, years before Betty Friedan and Gloria Steinem would launch the modern women’s movement. She was already exposing what she saw as society’s “waste of highly talented, educated womanpower,” as she wrote in an article for The New York Times Magazine. 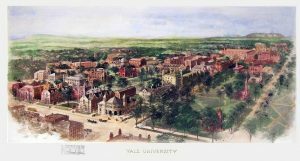 She’d experienced it herself: As a woman in the “I Like Ike” generation, she found no jobs open to her at Yale, where her late husband served on the faculty and where she herself conducted research on the effects of radiation on bacteria. Bunting also chafed at a higher-education system that ignored stark differences in the trajectory of men’s and women’s lives, hindering the professional progress of women who took time out for marriage and child rearing. The Mary I. Bunting Program for Non-Traditional Students at Douglass was one of those ways. Since 1958, the program has offered a supportive home to women students at Rutgers who have been out of high school for five or more years. In that earlier era, married women in the nation’s college classrooms were an anomaly. Many struggled to find their place on a campus populated by 18- through 22-year olds. The Bunting program recognizes the time constraints on these older knowledge-seekers – providing counseling, peer advising/mentoring and opportunities to air common frustrations and achievements. 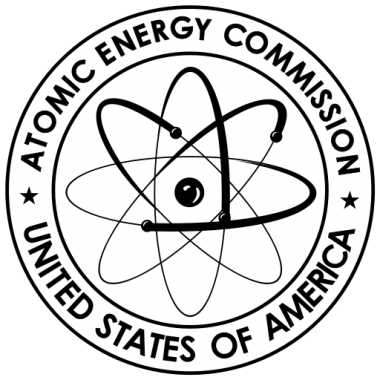 Mary Bunting was the first female member of the United States Atomic Energy Commission. “The Bunting students have brought diversity to the undergraduate classroom along with the wisdom of older students – often as mothers and even grandmothers,” says Rebecca Reynolds, assistant dean of Douglass Residential College. Bunting applied the same philosophy at Radcliffe, where she launched the Radcliffe Institute for Independent Study. 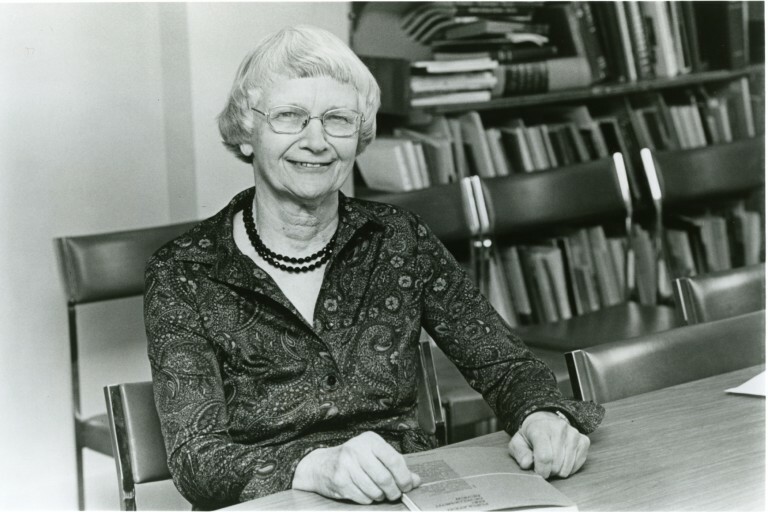 Renamed the Bunting Institute in her honor in 1978, the Institute is the nation’s largest multidisciplinary center of advanced studies for women, the Harvard Gazette noted. Among its high-profile alumnae are poet Anne Sexton; writers Gish Jen, Sue Miller and Alice Walker; psychologist Carol Gilligan; scientist Sylvia Earle; social activist Kathleen Cleaver; anthropologist Mary Catherine Bateson, and the performance artist Anna Deavere Smith. Over the course of her career, Mary Bunting was also the first female member of the United States Atomic Energy Commission, as well as a vice president of the Peace Corps and a member of the President’s Commission on the Status of Women. Susanne Schwartz Blatt, whose first year at Douglass coincided with Bunting’s first year as dean in 1955, says Bunting was the academician who drove home the message: Women’s education matters. “Dean Bunting validated that I wasn’t crazy for wanting an education, a career and a family,” recalls Blatt, who went on to make her mark on the dual worlds of education and law after graduating from Douglass in 1959 with a degree in psychology. This story is part of “Rutgers Revolutionaries,” an ongoing series celebrating Rutgers people and innovations that have changed lives around the world. Read about more Rutgers Revolutionaries. ← The Surprising Role of Rocks in the Civil War. Yes, Rocks.